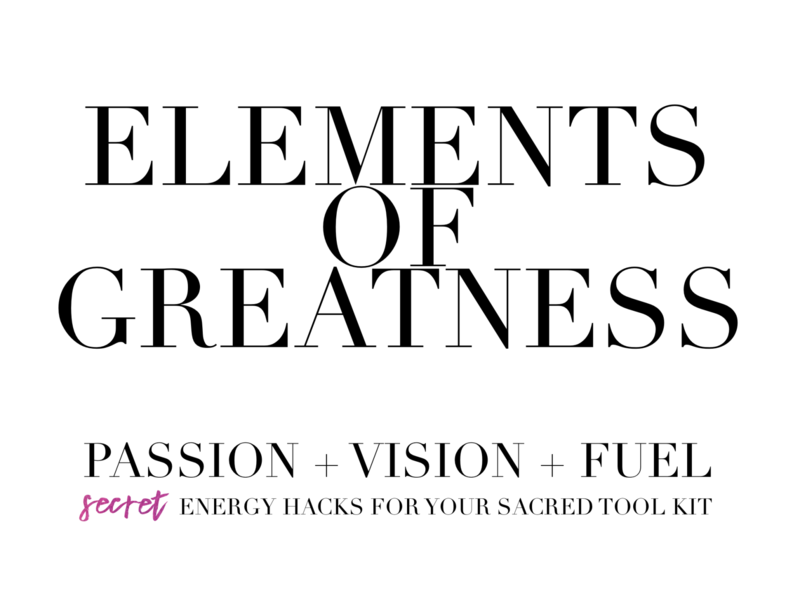 A secret energy hack that gives your dream or vision FUEL! Knowing what makes you tick and then powering that up by getting into an energy stream of success, changes your game and opens new pathways. You can turbo charge your life, with this amazing energy tool that gets you into a stream of flow. You'll need a pen and paper, water and if you want, you can also light a candle while you do it. If you want to go for it, have you got a vision to empower? A retreat in the heart of the heart of the country, at our place, in Kinloch. Did you know your biggest blocks are the KEY to your biggest growth? It doesn't matter who you are and what you're trying to achieve, if you can get up close and personal with your blocks and what they are trying to hide you from and clear them, you are going to AMP in your next phase of life. WOOHOO!!! This weekend is full of understanding, creativity, love and BIG SHIFTS. Are you joining me? I'm just taking 5 people for this retreat, so email me here if you want to hold your space. Arrive on Friday night, and dive into a beautiful weekend of deep healing, deep release work, self-love, creativity, discovery, shedding, empowering your personal magic and learning even more about your energy, purpose and the essence of your joy. FEEDBACK FROM NOVEMBER: 'The Bliss November retreat was a truly wonderful experience. I have been to many workshops and retreats over the past 10 years all with different themes. What I enjoyed most about this retreat was that we (the participants) were so beautifully held by Deb to process any emotions that came up organically. We were gently guided through the exercises without any expectation of a result which allowed us to fully engage with the exercise. I feel this allowed for a deeper unfolding of what we all experienced and for the full benefits of the healing to occur.Time seemed to stand still and also fly by so fast. At the end of the weekend it felt as if we had been there forever and we were quite reluctant to leave the beautiful space we were in. I travelled from Australia to participate in this workshop and would do it again without hesitation. MORE FEEDBACK: I was super blessed to be a part of Deb's October retreat, & I can't rave about it enough! I honestly don't have the words to describe exactly how amazing it was, but I can say that it was phenomenal. Deb Rowley is phenomenal! If this at all speaks to you, then please get in touch with her - I can promise you, you won't regret it. It's a total immersion, you are staying with us. This retreat is $888, all accommodation, delicious food and creative supplies are included. ​You leave here liberated into so much more of YOUR magic, YOUR mojo and YOUR amazingness on Sunday afternoon. I can. not. wait. to shake out this next level with you. If you are ready to join me for an epic weekend, then get hold of me by emailing me HERE. FOOD: We are a low wheat household. In fact, pretty much no wheat quite often. We eat delicious food here and like to get it right for you. ​So if you have any intolerances or foods you are flat out allergic to, please tell us, it's no problem. Most of our salads come from our garden and we are busting with tubs of lovely basil and herbs. PILLOWS: We don't believe in yucky pillows, you're welcome to bring yours, but we also have a good selection here if you're staying with us and didn't bring one. PAYING OFF THE EVENT: This is an option and if you want to discuss how it can work for you in a no stress way, give us a shout. Seminars run throughout the year and you can request one for a group (min. 6 people) if you wish. A melded, magical seminar to divine your essence, upscale your abilities, get you really aligned with your financial vibration, pour power into your mission and illuminate your path. Spend the day enjoying the cream of two of my favourite magical events, take home a wealth of new tools to expand your work, release blocks, clear your home or business, move through any limits you believe you have, experience creative activations, recreate your world and positively affect your relationships. Mentor & Guide for Healers & Coaches, running development events and giving support to healing businesses. I work to release resistance for coaching clients in programs to enable them to get better results. I run regular seminars on Flow, Purpose, Rose Therapy, Reiki Healing, Relationship Healing, Practical Magic & more. Want to know more about our day? You are welcome to email me here to ask or join the newsletter here to find out when the next event is. Healing old wounds from past relationships, dropping baggage and opening to more love - within and out - self love and tools for awakening your Goddess or Champion energies. A divine day of blissful relaxation, healing with roses, some amazing facts about roses and why the rose can be an essential tool to lift us into higher space. An attunement to rose energy and a healing hand activation. Experience the healing energy from your seat, learn about magic, energy and healing and what it can do for you. This show is unlike a medium show as everyone gets a healing on the night. Learn about Past Lives, why and how energy works and hear stories from Deb's experience of the miracles for her clients across ten years of work. Funny, informative and entertaining, as well as sometimes quite eye opening, this show is a real treat. Both are a prerequisite for Reiki Masters - Reiki 1 & 2. Reiki Teachers - including how to do attunements. Please contact us for information regarding the recommendations for meal and meditation for 21 days prior to Reiki Masters. Healing and teaching in the Gold Coast on the Lady Balls Retreat for Jody Jelas and her crew. Conscious, direct connection is crucial if you truly want to grow. Conscious living is SO freaking important. Treating each other well. Creating GOOD HEALTHY BOUNDARIES and looking after yourself with the words you use. Spirituality doesn't mean you need to be everyone's best friend. You can always send love to a person without liking them much or needing them in your space. Everyone is growing and learning. (Even the ones you'd probably secretly like to give wedgies to.) Love, love, love, remember? Magic Day Seminar is on this Saturday. It's $250pp and it's the best money you could spend to get yourself clear, and sorted with your amplified magical connection, and your body. Get traction and trajectory. There will be past life healing, a delicious lunch, you'll be SEEING energy and so much more. I LOVE, LOVE, LOVE teaching about magic and empowering people, I have literally got floods of info for you. This whole day is channelled for your growth. Headed to Hong Kong to speak (and work) with a group of families in November on the 3rd and 4th, at the request of a client whose children have had profound results from their sessions and then travelling to the UK to do some workshops in England and Scotland. If you would like to know more or to book a session, please register here for information. A day enjoying the cream of two of my favourite magical events, take home a wealth of new tools to expand your work, release blocks, clear your home or business, move through any limits you believe you have, experience creative activations, recreate your world and positively affect your relationships. This trip we're also working in Ireland, Scotland, Australia - Sydney and Melbourne. Energy Specialist Deb Rowley's clients include: Mums, Dads and kids, Doctors, nurses, chiropractors, physios (and other health professionals), extreme athletes - people who've been in pain for twenty years or more, self professed broken down sports hacks, people who've been in car accidents etc... People walk in to her clinic space bent over and walk out upright. In shows she has healed torn shoulders, bad backs, broken ankles and scepticism (sometimes her own) and SO much more. For her private clients, the list of complaints she has healed people from is enormous. Want to get back on your game faster? If you've spent years trying to rid yourself of any pain - whether from injury or illness - or even a phobia - believe it or not, this straight talking lady may be able to move it in moments. Often people come to her as a last resort after they've been to doctors, osteopaths and chiropractors. She's completely changed the daily lives of thousands of people around the world, regularly works with autistic children and works with clients all over the world with skype or in person. In the last week 3 people with paralysis have been profoundly affected by her work*. Two of them have had their paralysis for more than 19 years. She works on professional athletes, people who want peak performance and on people who've never experienced healing before and didn't even imagine it could be real. Energy medicine has been used in various forms for centuries, although her work is often described as cathartic, miraculous and impossible, it's not religion based. Deb has worked on Olympic athletes., Olympic swimmers, Olympic rowers, international kick boxers, rugby and league professionals - she teaches Reiki - the same type of healing which got NZ Cyclist Hayden Roulston to the Olympics after being debilitated by his heart condition that Doctors said would kill him if he ever rode a bike again. He's in Rio now. Her clients span the globe and yet - she's a secret. Why? Because it's a bit UNUSUAL to sit in front of someone who can profoundly affect your physical wellbeing in under an hour without giving you drugs or even taking your temperature. Sometimes people compare her to the healer on the 1999 movie, The Green Mile. Want to know miracles exist? Come along. Want to let go of pain you've been carrying for years? Come along... It's funny, entertaining and mind blowing too. *Her husband James Rowley also worked on one of them! 'Deb, my husband has been unwell recently with a racing heart. He had medication for it last year, and on a Sunday a couple of weeks before your last show, he had it again for a couple of hours. I used your technique on him, and the racing in his heart stopped absolutely immediately. We looked at each other in stunned amazement because we really didn't expect it to work. And it hasn't come back. 'Deb, thanks for the show, it was awesome. Despite being a bit sceptical, my friends right knee felt all better after the (group) healing. It took him over a day to tell me about it. It was just sinking in and freaked him out a bit. FYI he didn't put his hand up when you asked, and you said "well someone here has a sore right knee", even though no one had mentioned it. Just wanted to share and say thanks.' - Natalie H.
Thank you so much for the healing you gave me at your show in the Rose Centre, Belmont. I wasn’t sure whether it had done the trick on the night, as the chronic pain always kicked in when I bent in a particular way, with nagging pain in bed when I’ve been lying down for a time, so 4.30am most mornings. I woke Friday morning at 8.20am, pain free, and I couldn’t believe I had slept in. Not only was I not ‘crabby’ all day, which I now realise was due to the hip pain, but I managed to do all the housework on Friday, which has been beyond me for months now due to my tiredness, which was clearly caused by the pain! I must have said, “Thank you” a hundred times these last several days; thank you for your show; it helped me remember a lot of what I had previously learned and forgotten, and now I have the energy again to get back on track Spiritually too. I started out with 'Whose Life is it Anyway?' - A Show about the dawning realisation that I was actually important, that I was in control of my own destiny and that it was really crucial for me to understand what brought me joy. I was previously so numb I almost forgot I was real. I had got very detached from life, depressed, dealing with a great deal of life trauma, and, most definitely treading water - I was on the mouse wheel. Both resonated with people. I discovered many other people who forgot they mattered, had lost their way and had no idea who they were or what brought them joy. I shared my story of overcoming, uplifting, transformation, and gave them tools to help them on their own healing journeys. My second Show 'From the Doormat to the Magic Carpet' was all about discovering my own innate magic and my place in the grand scheme of things. A very special spiritual experience gave me the name for this Show and I realised what a doormat I had inadvertently been - just trying to hold everything together when it was all falling apart. The doormat moment was actually my life or death moment when I chose not to surrender and keel over. I forced myself to push through the pain to carry on with my life. It also resonated with many people. And there was a great deal of really amazing feedback. 'In Love & Miracles' was all about dancing in the magic and realising how important it was to share with others and to set that example. There was real love in my life, I had learned not to try to 'get' love, but to personify love and so love was drawn irresistibly into my life. My husband had arrived and everything was about teaching others to create their own magic, to be love and to radiate consciously, that love to others. My most most recent Show, 'Out of the Box, Bringing Magic & Miracles to Life' is all about saying "I'm here to do this amazing work, Yes, I'm a miracleworker, I'm a leader, and I will stand and do this work, no matter what. I've been sort of hiding from it, afraid really, to fully take it on. It takes a lot to stand up and raise your head in this field especially when you've been such a sceptic. Taking power and walking with it, is a revelation in a way - I know I'm supposed to be doing it - I've stopped fighting it, worrying about it or feeling like I don't deserve it. I'm here now. Finally for me - the Eagle has definitely landed.